This sequence documents the emergence of a Queen butterfly (Danaus gilippus) on the morning of August 8, 2007. From the time to chrysalis split open until the wings were fully inflated covered a span of only 15 minutes. 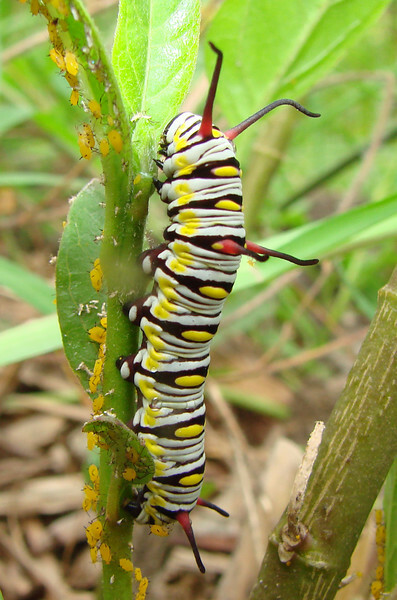 This Queen (Danaus gilippus) caterpillar was found on a Tropical Milkweed plant in the Duhons' Fort Worth, TX yard on July 31, 2007. Lovely shots and also very informative. Your photos were helpful in identifying this Caterpillar. Thanks a lot.